Major League Soccer has a fantastic website with tournament info, news, commentary and most important live feeds of the games. The only problem is that the live feed is not available outside the US, Canada and Mexico. In order to catch up on the live feed from other locations you need to use the following trick. If you try to start a live feed from the MLS website outside the US you will see the following message: “You are accessing this page from a restricted territory. MLS LIVE is not available outside of the United States, Canada, and Mexico.” The problem is that MLS can’t stream outside these territories due to strict licensing agreements. The MLS website will detect your location via your IP address, which is distributed to you by your ISP. 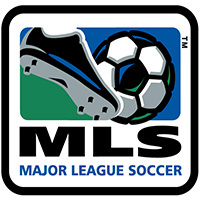 In order to get around the block from MLS you need to make yourself appear as being located in the US. The best way to do this is obtaining an American IP address from what is known as a Virtual Private Network. A Virtual Private Network or VPN will allow you to inherit an IP address from a server located in the US. That way when the MLS website checks your location via your IP address you will appear to be located in the US and allowed to stream the live games. Setting up a VPN is very straightforward. First of all you need an account with a VPN provider. Personally I prefer using Unlocator as they have great speed, prices and coverage across the world. Once signed up for an account simply go ahead and install the software from Unlocator and log in with your account information. Now simply select one of the US servers from the list and click connect. A couple of seconds later a green indication light will show that you are connected and hiding behind the US server. Any website you visit while the connection is active will now think you are located in the US. Visit the MLS website and start a live feed – instead of the dreaded message you got before you will now be presented with the live feed.